Based near Chippenham, Wiltshire, we specialise in offering cost effective web design and production to start-ups, small and medium sized businesses. We design professional websites quickly and efficiently and you’ll have the facility to update it yourself (if you’d like to). 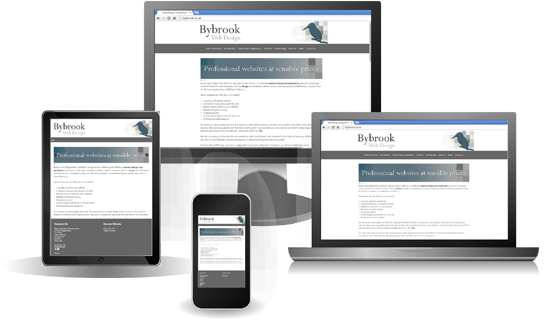 Website design in Chippenham from Bybrook Web Design offers the complete website solution for your business from website hosting and email hosting to Search Engine Optimisation. Beautiful, responsive, professional websites for businesses of all sizes. Organic search engine optimisation, Google Adwords and social media packages. Secure, reliable, UK based website hosting on our Cloud infrastructure. Professional level Hosted Exchange email solutions and Office 365 products. It’s obvious to most people now that the majority of potential clients and customers are using the internet to find products and services. Many are using tablets and mobiles to do this so it’s important that your new website is mobile friendly (responsive). All the websites we produce have a mobile and tablet view built in for free. Having a website produced is not as daunting as it sounds. We can provide you with a professional web presence for minimal cost and very little hassle to you. We can even help with text and photographs if that sort of thing isn’t your strong point. From as little as £250, you can have a 4 page website up and running and all hosted on our UK based dedicated server. Check out some of the examples in our portfolio page to see some of our work and a full list of all our clients to date. Why not keep the production of your website close to home by using Bybrook Web Design – your local web design company – Web Design Chippenham. We have helped many small businesses and start-ups take their first step on to the internet with cost effective websites generally priced between £200 and £325. All of our smaller sites are mobile friendly and have hosting included in the price for the first year. 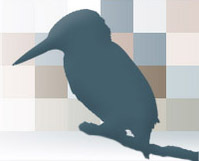 We have a number of medium sized clients who have come to us for an upgrade to their existing web presence. We produce beautiful, functional, bespoke websites that can be edited and updated by you and that can easily have additional functionality added. Whether you’re experimenting with a new business idea or you have an existing online sales operation, we can produce a professional and effective ecommerce solution for you or your business. All of our ecommerce sites content management systems.